White South China Sea – Cultured pearls bearing this name have a grayish tinge and also command high prices in the market. Golden South Sea – Prized for its rarity and golden colors, these cultured pearls are in great demand and fetch extremely high prices in the market. Cultured pearls make beautiful pieces of jewelry. 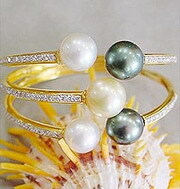 A pearl is formed when an irritant, typically a grain of sand or parasite, enters and remains in the shell of an oyster. The oyster will deposit layers of a semi-translucent crystalline material (nacre) around the irritant which becomes a pearl. The pearl is created when an irritant is placed in an oyster and the oyster is then stimulated to coat the irritant with the nacre. Cultured pearls are typically nearly perfectly round and should have a beautiful luster and iridescence and can come in a variety of colors including black and white. Also they will have a subtle undertone such as pink or green. The size, shape and cleanliness of cultured pearls will impact their price. 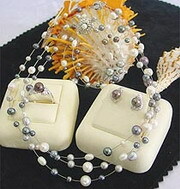 The larger cultured pearls are the more expensive they will be. Cultured pearls are measured in millimeters. 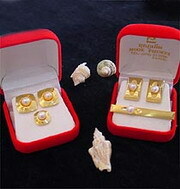 You should select your cultured pearl jewelry based on your unique tastes. Whether you are looking for pearls to match a particular outfit or to be worn with many different outfits, there is a wide selection of jewelry to fit your style and taste. Consider the size of the pearls, color, and of course their setting. You can choose an entire strand of cultured pearls or a single pendant, or a wonderful pair of earrings or a ring. Many women buy a set of cultured pearls that include a necklace, bracelet and earrings. Bangkok Companies is a full service product sourcing company in Thailand. For All your cultured pearl jewelry needs please email bangkokcompanies@gmail.com with your requests. Based in the heart of the central gem district here in Bangkok, Thailand, a city that is undoubtedly one of the gem capitals of the world. Bangkok Gem-Mart has now firmly established itself as one of the leading suppliers and manufactures of high quality gemstones, pearls, bead necklaces and many other beautiful jewelry accessories. Whether you visit our online shop, power seller store, or visit our showroom in Bangkok, you are sure to find the item of your desire with over 30, 000 different products to choose from. 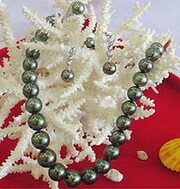 Loolar jewelry is both a retailer and wholesaler of quality fresh water pearl jewelry. We use the best a and AA quality freshwater pearls from China to create fashionable and classic necklaces, bracelets, earrings and rings. Our commitment to quality is strong and we offer a money back guarantee. Please contact us if you need help in selecting the right product for you. Find us at our web. We are a Gemstone specialist both precious and semi-precious gem. You can find out all you want with a very good quality and competitive price. There are also a lots of 14K, 18K and 22K gold products such as chain, ring and etc. with/without gemstone. Products: Gemstone, Pearl, Gold and Silver jewelry, Gemstone Jewelry, Gold Jewelry, Silver & Sterling Silver Jewelry, Pearl Jewelry .